We’ve compiled a list of productivity hacks for the social media pro and digital marketer. Our team of experts use an array of tools and tactics to maximise their effectiveness on a day-to-day basis. We asked them about their tops tips and we’ve compiled them all for you here. 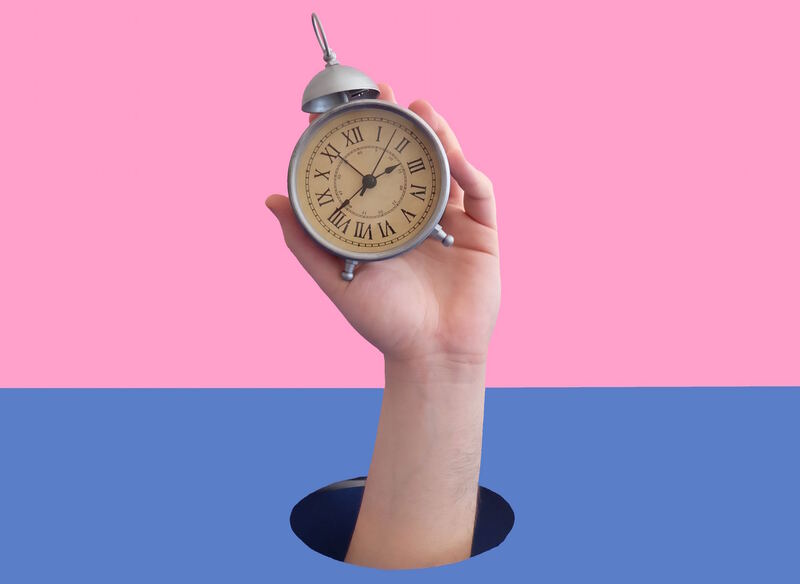 These are tips for full-time marketers or people who know they’re simply spending too much time on social media in their role. Maximising the amount of high-quality quality work and concentration time is the foundation of productivity. Social media platforms are designed to be distracting and today’s perma-connected working environment is a gauntlet of clickbait, updates, and alerts. Emails are the bane of the modern marketer’s life. They’re disruptive and break your concentration. Nothing that comes in via your inbox is so important it can’t wait a few hours. Check your emails at designated times during the day and quit your email in between. Key word, “unsubscribe” – don’t reach for the delete button just yet! Also note, “emails you don’t need” – not just spam. Spam emails are one thing, but if you’re anything like us you’ll be on loads of mailing lists that you simply don’t need to be on. The few seconds it takes to unsubscribe saves all the interruptions caused in the future. 3. Have an email system and stick to it! Adopting a system like ‘inbox zero’, or using a folder or flag system will help you out big time. Having dozens, hundreds or even thousands of emails in your inbox makes for hard work knowing who you need to get back to and what’s important. Switching off from technology guarantees you a spell of great productivity. If you’re creating content, do it without the internet, if possible. If not, shut everything else off, phone included, so you’re not disturbed. Facebook is a world-class distraction platform. Not only does it steal your attention, but it can capture it for minutes at a time. It will likely direct you all over the web to articles even you, the social media marketer, would struggle to pass off as ‘research’. Opening a new browser, hitting ‘f’ and the ‘return’ key typically suffices for Facebook to take full effect. Logging out creates an extra action, and an extra couple of second to ask, ‘is this really what I want to do?’. Multitasking is not a productive way of working, even if you think you can do it. Social media management can be a minefield of multi-tasking opportunities but it’s simply not worth it. If you need to, write down the task in hand and what your primary objective is. Keep it next to your keyboard as a continual reminder that this is the one thing you should be working on right now. Absolutely not podcasts! Even music with lyrics might put you off your flow. In a busy office with people discussing ideas and speaking to clients, it’s easy to be distracted. Having headphones on during a spell of concentration also stops people disturbing you. You don’t want to be distracted by random items or emailed about them. Review and apply some common sense to what you want to know about immediately and what can wait a few hours. Remember the BBC Bitesize revision site? The UK readers probably will. Taking a big task and splitting it into sub-tasks or several time slots makes it more manageable. Writing a 1200 word blog for a client might be better suited to two or three sittings so you keep the tempo and fresh ideas flowing. Many of our productivity wins come from focusing on delivering quality. Quality tends to win out over quantity in most things in life and social media is no different. Content has always been a cornerstone of a successful digital campaign. However, it’s increasingly important that the content is high enough quality to attract attention, especially with algorithms heavily influencing who sees what. Spending time creating one high-quality piece is a far better resource choice than creating three average ones. Is what you’re about to create thumb-stoppingly good? Don’t waste your time on content that no one cares about and will scroll right past. The internet is full of ‘nice’ content – make yours stand out. Don’t spend an hour creating something boring. KPIs give your social media activity a focus so make sure those KPIs deliver value to your client or your business. Spending time working on metrics no one cares about is a massive waste of time. With goals in place, have a plan for achieving them. You don’t want to be asking yourself “what am I trying to achieve today?” every day. It helps take the decision making out of each post and it means you’re not wasting time working towards an unproductive goal. Whether this is for managing a roster of clients or your general business diary, keep meetings short and to the point. Telling people they have a 30-minute call forces them to stick to the need-to-know items, nothing fluffy. People expect a business marketer or entrepreneur to be busy – don’t be ashamed to focus on what’s important to maximise your output. And always have an agenda! Being a busy fool is a drain on your time, effort and willpower. Ensuring everything you do counts means you can maximise your output. Spend more time on the 20% of activity that works and generates results. Knowing which activities contribute to your success and KPIs is the foundation of this. Quit sweating the small stuff and tasks you’re not good at – focus on results. Facebook is a challenging place for new businesses because organic reach has been squeezed. If you don’t have a big enough fan base, posting content will take a while to reach a good level of traction. Grow your Facebook page likes like this or promote your posts for a more productive campaign. Researching to find the best industry hashtags can catapult exposure on Instagram. Use a wide range of popular hashtags for each post, not just 20 of the most common. Check this out in more detail in tip 5 in this blog. This includes graphic design and blog writing if they’re not your specialty and they’re taking too long. Things like infographics might seem easy to make until four hours later you’re still on PowerPoint and looking at something resembling your GCSE biology presentation on meiosis. Create a bank of go-to resources for content – Flipboard, Forbes, Reddit – whatever your niche or client requires, find some go-to sites that produce shareable content every day. Bookmark them for easy future reference. Smashing out great content is always a priority but it is time-consuming. Don’t overlook some tried and tested methods of building your account. An hour of following new, relevant accounts and liking and commenting on their posts will increase your follower count. In fact, this will almost definitely gain you more followers than an hour spent creating a new piece of content. Taking time to write content carefully certainly saves time in the future. Writing lazily and having to reread your content ten times through is not a good use of time. Get in the habit of getting things right first time and proof everything properly, once through. Tools like Grammarly are a double-edged sword. Sure, they’ll help catch some spelling and grammatical errors, but they train you to write carelessly knowing you have a safety net. The problem, however, is that only some errors are picked up on (and it doesn’t work on every application!) so you have to double check everything anyway. Changing your scenery is a great way to spark your imagination. Write your ideas down, do some brainstorming. Maybe even write a list down of things that absolutely do not solve your problem! Then get on with something else, maybe sleep on it. Let your subconscious come up with a plan rather than wasting hours thinking about it! Reporting on client work or to your seniors tends to be a very time-consuming endeavour. You need to explain all the great work you’ve done and show the impact it’s made, but reporting itself doesn’t actually contribute to social media success. 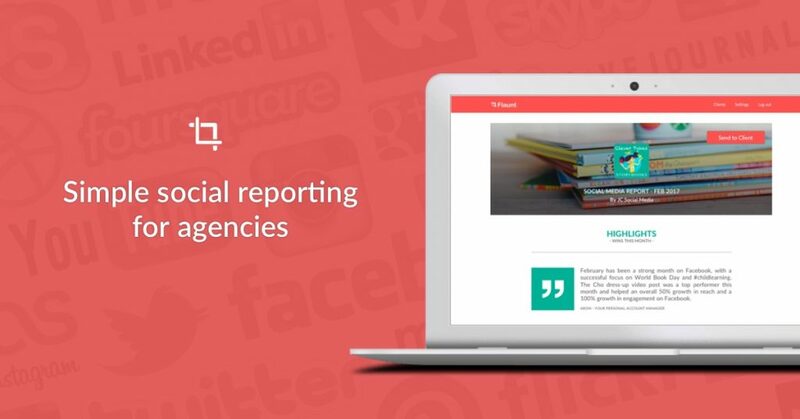 Invest in reporting software with API integrations or use Flaunt reporting software, which essentially auto-formats everything for you. Quit struggling with PowerPoint every month. You can find tools for almost any task relating to social media management, usually, they’re free (or there’s a free version, at least). If you’re making graphics yourself, check out Canva and Pixlr for social media-friendly edits. If you do anything on a daily basis, search “tools for [whatever it is you’re doing]” and see what pops up. Scheduling tools like Hootsuite, Tweetdeck and Buffer are crucial to developing a well-rounded profile without the need to be on social media around the clock. They’ll also help with content recycling (see point 42), analysis of content performance and suggestions about when to post. Posting when your audience is online and engaged helps you get the most from each piece. For some or all of your campaigns, you may be using tracking links for additional analysis. Bit.ly is a popular choice for doing this. Install the Chrome, Safari or Firefox browser extension so you avoid having to go to the bit.ly link converter every time. Whilst there are sources of great royalty-free images like Pixabay and Unsplash, you will save time and increase the quality of your content with a paid subscription. Why? People have seen stock images a million times – especially the free ones. With a premium service, you’ll also likely enjoy higher quality and a better selection so you find exactly what you need. More on the stock image trade-off here. Internal messaging channels tend to be more efficient methods of communication than email and face to face talking. We prefer Teamwork Chat because you can automatically schedule tasks from conversations. Scrap Dropbox, Drive and email threads if you really want to get a group task done. Google documents are shared live online and can be updated by everyone at once – no conflicted copies, no waiting to see if someone’s updated it, no syncing time, no waiting on Dave to get it back to you by “end of play”. Buzzsumo alerts do the same thing and can track multiple brands and industry news. For accounts that regular receive inbox messages, set up an automated response linking to an FAQ or booking page. This is particularly useful if the majority of requests are the same. This means everyone who enquires gets an instant response so you don’t need to be monitoring everything 24/7. You should still follow up with people in a timely way to ensure they’re sorted. Thanks for contacting our restaurant. Someone will respond to you shortly. Our opening hours are 12pm-10pm Monday to Saturday, the menu can be seen here: [LINK] and you can book a table by calling 0123456789. Sometimes working smarter really is the way to go. Content calendars that make the most of national days, holidays and seasonal occurrences are effective. You can find national days until the end of the year here! Company birthdays, local events and PR you’ve secured is effective, timely, content that doesn’t take three hours to come up with. Simply using weekly hashtags such as throwback Thursday (TBT) works great for some brands. 34. Calls to action + engagement. If your primary goals are clicks, engagements and leads – encourage them from most posts. Whilst a range of content is important, every bit of content that doesn’t directly contribute to your core KPIs can be costing you progress towards them. Make sure all your content has a purpose. We’re big fans of content series. Content series take one idea or campaign that inspires potentially dozens of pieces of content. You could have a trivia Tuesday post, you could do a feature on each of the ten people that have achieved a certain feat within your niche, or you could run a monthly competition of user-generated content. Usually a great source of content and engagement for B2C brands (especially ones with a large audience), user-generated content (UGC) puts the onus on your fans to do the work. Styled as a competition with an actual prize, or simply for the kudos of being featured somewhere, encouraging UGC is a busy social media marketer’s dream. 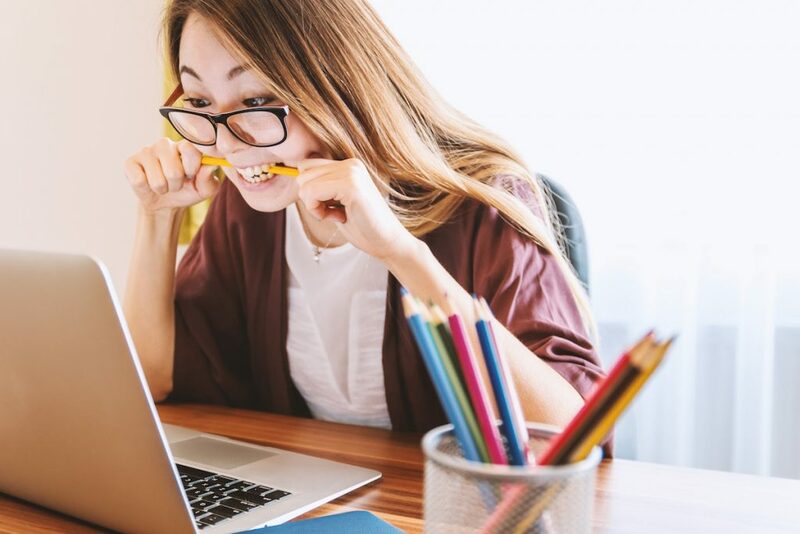 Whether you’re working on one long task or many smaller ones, sitting still, ploughing away for hours on end tends not to be good for productivity (or your posture). Taking at least five or ten minutes each hour to take a step back, move around and chill helps to press the reset button. Check out the Pomodoro technique. If you’re really short on time, switching tasks every 15 or 20 minutes can be as good as taking a break by renewing your motivation. This is great if your attention span isn’t the longest! If social media is not your full-time role, make sure you schedule it in. Don’t leave it to an unproductive post-lunch lull that could end up in a few pieces of content taking all afternoon. Schedule it for 30 minutes each morning and you’ll get so much more quality work done. This is not to steal their content ideas but it stops you wasting time on content that doesn’t actually work. Use their greatest hits as inspiration for a great bit of content you could create. More on what you can get from your competitors here. Result tracking is part and parcel of what a social media agency does, but not necessarily for an internal marketer or entrepreneur. How do you know where to spend your time if you’re not tracking which posts cause which results? Sometime, to be more productive, you need to upskill yourself – simply learn faster or more effective ways of creating content, using tools and generating leads. A great motto to live by is JFGI or “Just Google it”. Just Google “how to do X faster” or “…Y better”. Google and YouTube are excellent sources of hacks for all sorts of things social, digital and life, in general. Experiment. Platforms are constantly releasing updates and new features. Your best bet is to get stuck in immediately because a) there will be lots of information about how to use it, b) no one will care if you use it slightly wrong and c) you’ll be lauded for doing something new and different. Waiting months before trying it means there’s more pressure on getting it right first time. if you’ve created a fantastic, timeless blog or eBook, you can absolutely post about it more than once. You social audience shifts over time and many people won’t have seen content the first time around. Reshaping content and recycling it is good practice, not a lazy one – it makes best use of an existing resource. Creating fresh new content is time-consuming. Don’t spend hours trying to find the perfect image to adapt, when the client might have some graphics, photos or even videos they’ve had made recently. At the end of the day, there are probably some hard truths about the activities you’re undertaking. Consider changing your approach and even scrapping some things all together. Willpower is a finite resource and if you have several tough tasks to do today, do the hardest one first. Leaving it until the end of the day makes for a soul-sucking experience and you’ll subconsciously be putting it off and making a bigger deal of it than it really is! Whilst this seems a bit counter-intuitive, if you’re actually trying to see return from your social media marketing, better blog content wins every time. Putting out bang average 300-word blogs is a waste of time unless it’s really fresh, unique and valuable content. Writing a great 1000 word blog with optimised images and sections that actually delivers genuine value to readers is way better than putting out four or five 300-worders. Isn’t it amazing how many words the modern marketer types and how few can actually touch type? Touch typing (like, actual touch typing so you can read the screen whilst typing) is way faster than head-down finger prodding and you’ll make far fewer errors. Dictation software might also be worth a consideration if you’re writing long pieces often and don’t type well! Remember there will only be one ‘best’ platform for your brand. That’s not to say being on multiple channels isn’t worth it, but monitor successes across lesser channels. You might find doubling your time on Instagram or LinkedIn yields better results than trying to keep Pinterest and Snapchat updated daily. Campaigns like the Ice Bucket challenge or the mannequin challenge are great when they’re at their height and can create some really fun content for clients. However, they take a decent amount of planning and coordination. Don’t wait around for a week before deciding to get involved or you’ll have missed the boat and wasted your time and effort. If all else fails; do what feels right. With a plan and strategy in place and a good understanding of what is important and urgent, you still may have a choice on your hands. If all else fails, sometimes following your instinct is a good way to choose what to do. Working on what you actually want to work on is more motivating than doing something third or fourth choice task and might help you crack out the task more quickly. Missed anything? Let us know your top hacks and we’ll include them here with an attribution!